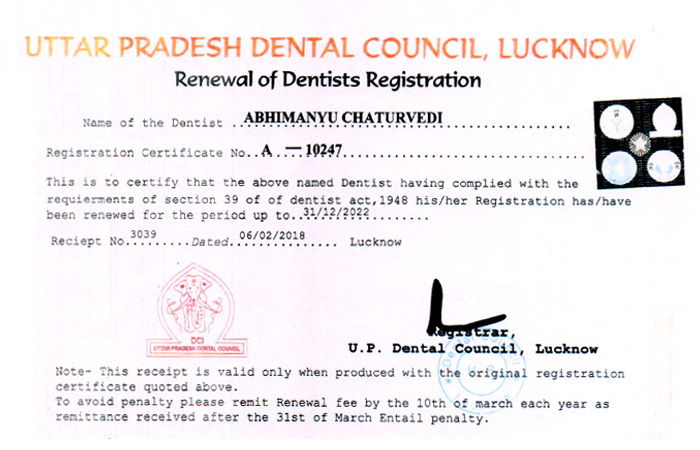 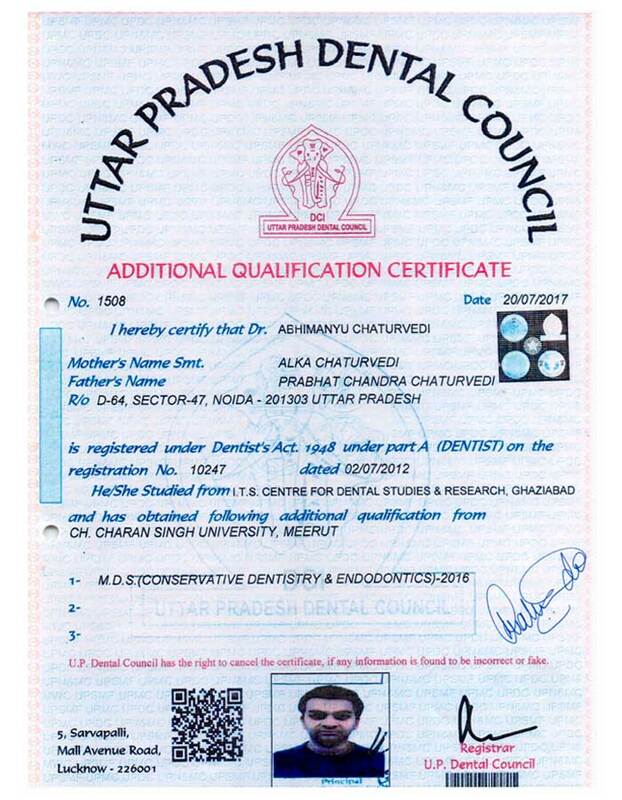 Dr Abhimanyu Chaturvedi, with the past 9 years of dental clinical experience provides quality dental care treatments to his local and international patients around the world. 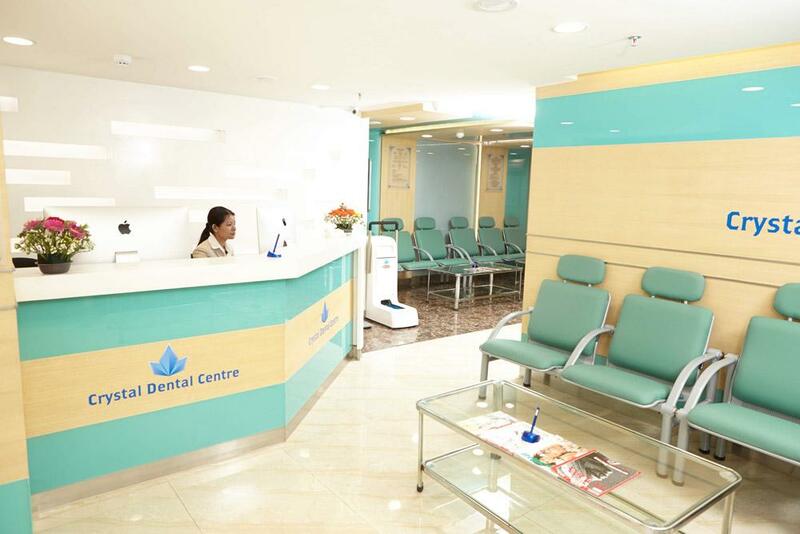 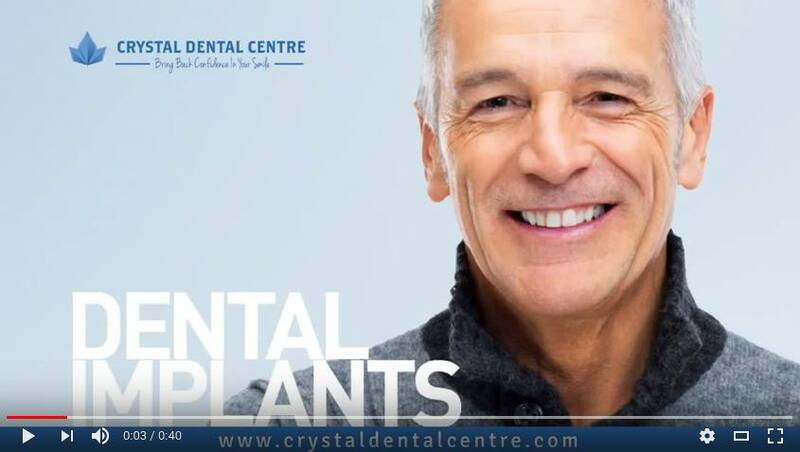 He is specialised in Conservative Dentistry, Endodontics, Smile Designing and also one of the best Cosmetic Dentist and Endodontist in New Delhi. 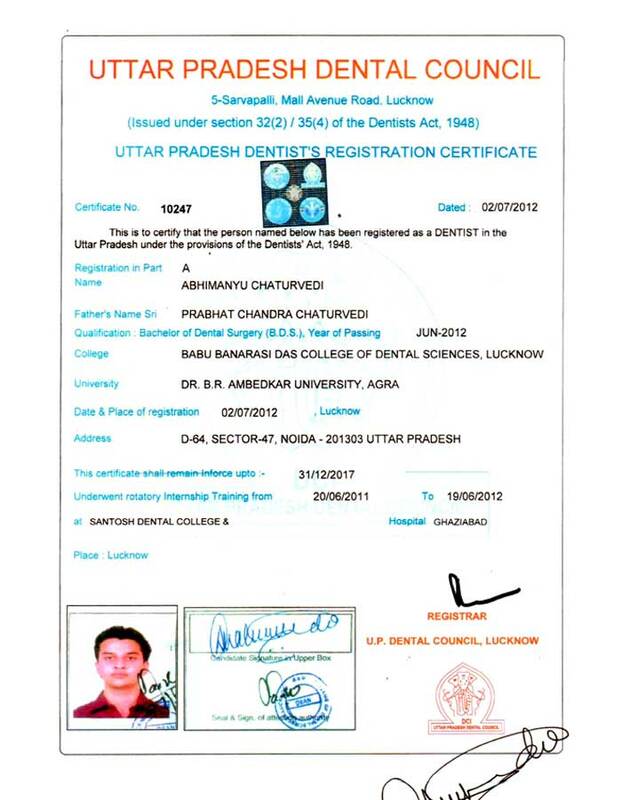 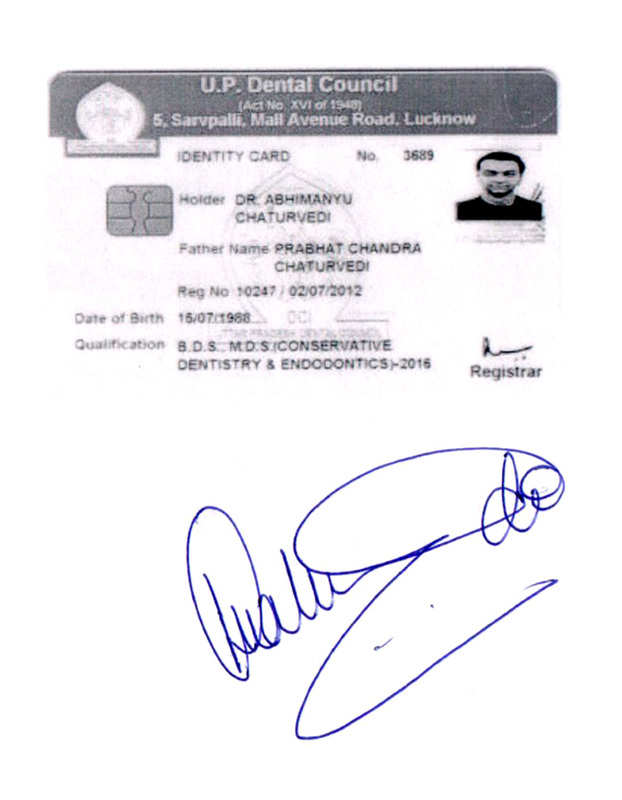 He is also an expert in the field of Neuromuscular Dentistry, Dental Implantology and Smile Designing. 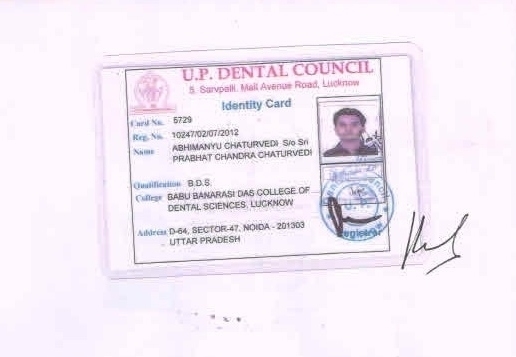 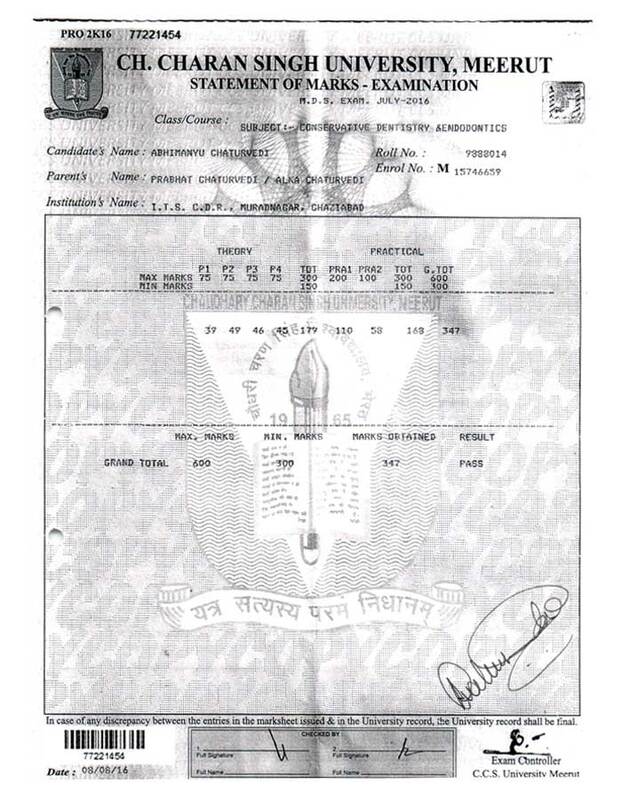 He has attended and participated over 50 national and international conferences. 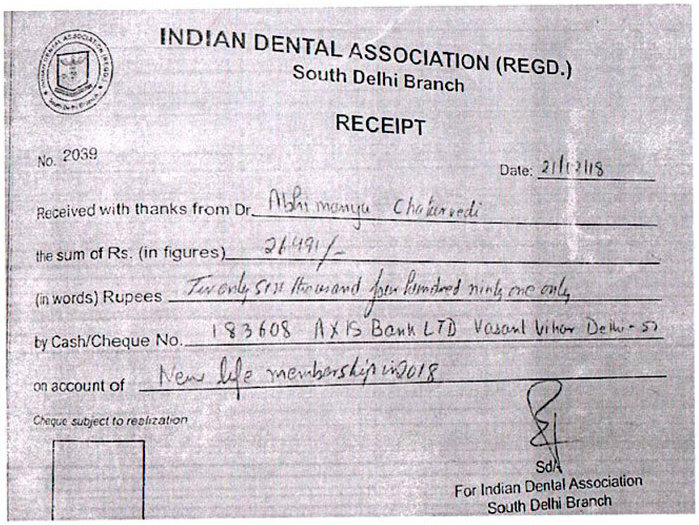 He runs a charitable trust called "Avijai Charitable Trust" through which dental treatment for people below poverty line is absolutely free.